Our Amish McCoy Sideboard Cabinet makes is easy and stylish to protect your cooking and serving supplies along with your pantry items. 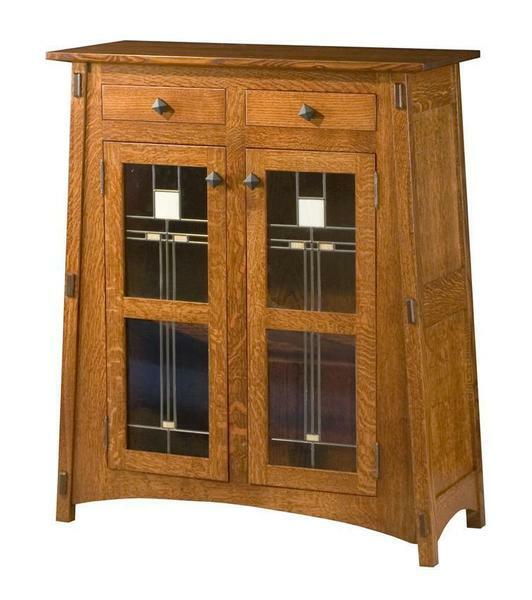 This McCoy style cabinet is available in reverse panel doors, copper panel doors or glass panel doors. Proudly made in the United States using the finest hardwoods available. Cabinet with reverse panels or copper panels are standard.